This August long weekend in Canada was a time for much discussion of what this civic holiday means for different parts of the country. In Ontario, there’s a mishmash of understanding of why we take off the first Monday in the month. For many it’s just a day off. For others (especially Torontonians and those in the Greater Toronto area) its Simcoe day and still for others, especially Ontario’s Black communities, its Emancipation Day, a commemoration of the end of the enslavement of Black people here in Canada* and throughout the Americas (1834). WoodGreen Community Services Rites of Passage process connects youth with their African heritage, in the West African tradition of helping young people make the transition to adulthood. It helps youth of African descent reconnect with foundational principles that are part of their African heritage but often absent in their day-to-day live, such as self-respect, self-determination and a responsibility to the community around them. OCASI and other members of Colour of Poverty - Colour of Change steering committee appeared before the United Nations Committee on the Elimination of Racial Discrimination (CERD) on August 14 to report on the state of racism in Canada. OCASI co-authored a joint submission to the CERD Committee. Released by Canadian non-governmental organizations (NGOs) appearing before the United Nations Committee on the Elimination of Racial Discrimination (CERD Committee), which will review Canada’s compliance with the International Convention on the Elimination of All Forms of Racial Discrimination (ICERD) on August 14–15, 2017, in Geneva. OCASI welcomes Bill 148 and its potential to strengthen existing protections for immigrant, refugee and migrant workers as well as all other Ontario workers who are disadvantaged and excluded from basic protections. . Actions are being held in communities across Ontario to fight for $15 and Fairness as the Standing Committee on Finance and Economic Affairs considers amendments to Bill 148 from August 21 to 25. The Bill promises greater fairness for Ontario workers. In response to the large number of irregular border crossings from the United States by individuals seeking asylum in Canada, the Immigration and Refugee Board of Canada (IRB) is launching an Irregular Border Crossing Response Team, which will focus resources to address this growing intake. .
Register for a free Statistics Canada information session online or in person. The session will including information on settlement patterns and social integration of the population with an immigrant background in the Toronto, Montréal and Vancouver. It will include geographic origin, destination across Canada and distribution in the cities named in municipalities and neighbourhoods, and consequences on social integration. A study led by the Environics Institute, posed 250 questions to participants about their daily experiences as Black people in the GTA. 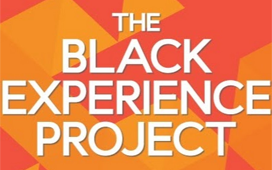 The survey of 1,504 self-identified Black individuals in Greater Toronto found that 53 per cent of the participants identified themselves as Black regardless of their heritage, country of origin, and ethnocultural and other identities.